"I like Dr. Li - he's available & responsive and knows his stuff." "This was my first visit with Dr. Li after having had a different pcp for a year or so and we went over my history thoroughly which made for a comfortable transition between pcps." "felt very comfortable with doctor Roland, gave great advice on my health concerns"
"Already recommended him to my sister." "Dr. Li may be the nicest & most thorough doctor I have ever been to." "I have already recommended this doctor to a neighbor of mine." "I have been very happy with Dr. Roland Li. When I was first assigned to him due to the departure of my original PCP I was a bit unsure because of Dr. Li's youth but he's proven to be a focused, courteous, and very knowledgeable young physician. He has also able to refer properly if there is an area that he is not 100% certain of and I have been very satisfied with the care and advice that I have and am receiving from him." "The degree of care that Dr. Li provides to his patient is exceptional. I would recommend him to anyone." "Excellent, very impressed with Dr. Roland Li's professional expertise & communication manner. Took his time & detailed." "He communicates very well. Follow-up emails much appreciated." "Dr. Li is terrific. He is approachable and empathetic, and he communicates clearly." "Dr. Li is literally the best doctor I've ever had in my entire life. I've never had someone I've ever been this comfortable with, and I will certainly recommend Dr. Li to everyone I know that asks for recommendations. Everything he does I have the most confidence in, and I trust him completely. I'm so glad I found Dr. Li, and I worry that someday I may not have him as my doctor (for whatever reason). Dr. Li is the best doctor hands down." "Dr. Li very knowledgeable asked many questions." "I felt comfortable with the doctorall my questions were answeredfound the Doctor to be very informative"
"I will always recommend it. #1. Excellent. " ""Very Good" is not good enough! Dr Li is a "find." Category of "Excellent" is needed!" "best provider I ever had"
"Dr. Li is excellent and I'm glad that our paths crossed." "Dr. Li is a very thorough physician with a wonderful bedside manner. He's wonderful." "I actually recommended a husband and wife are my neighbors"
"Dr. Li was a truly impressive physician. I have never had a doctor spend as much time with me or take so much interest in my care. He was truly invested in reviewing my entire medical history and in making sure that I understood what he was seeing. I have already recommended the practice to other friends in need of doctors and will continue to. I really appreciate the time Dr. Li spent with me." "Dr. Li was very professional, attentive and caring. He took the time to listen to my concerns and explain any issues in detail. I would definitely recommend him to others." "Dr. Roland Li was very caring, attentive to my questions and took time to go line by line of my previous medical report and explain thoroughly. I really appreciated his undivided attention he gave me while visiting his office which I did not see with other doctors in recent years. I will definitely have him as my primary doctor from now on." "If I could I would rate Dr. Li higher than a 5. I've already passed him name around to friends if they are looking for a new doctor. I praise his work and his demeanor. Excellent doctor I look forward to having for years to come." "Dr Li is very very nice and informative. I feel very comfortable speaking with him." "Dr. Li is exceptional in caring & his thoroughness. He is compassionate, knowledged. Listens & does pay attention & gives options & explains. Rarity these days to find a doctor like him"
"I have confidence in this care provider." "Dr. Li could not have been nicer and more professional. I would recommend Dr. Li to my friends. " "Dr. Li was wonderful! This was the best first appointment I have every had with a provider"
"It has been for long since I had a doctor who I could trust. Dr. Li is thorough, knowledge, professional & as an MD myself I can trust him." "Dr. Li is an outstanding doctor. I chose to go to him because of the excellent care he took of my husband in an emergency last year. He is very caring, beyond the call of duty. A+!" 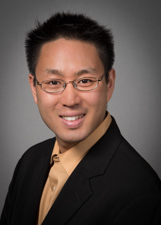 "Dr. Roland Li has a great "bedside manner" very attentive and thorough which I appreciate." "Dr. Li is amazing. Answers all questions - never rushes, listens to all concerns. Very proactive. Returns calls and very fast on portal. I've had a lot of challenges lately & Dr. Li does everything to make things better. Pride - cares - respects great dr."
"Dr. Li was very professional helpful and even referred me to two other doctors for specialty visits. " "Dr. Li is terrific--probably the best doctor overall I have had." "Dr.Li always takes the time to explain and inform. He discovered a serious health problem I had and guided me to the right people. He is simply the best physician." "Dr. Li is very good doctor and very professional." "I love Dr. Li, he is very competent." "I would recommend Dr. Li to anyone, but the opportunity to do so would not arise." "Dr. Li is amazing! Makes sure you understands gives options, follows up. Shows concern - very through. " "Dr. Li is one of the finest internists I have ever known." "I'm very happy having Dr. Li as my primary care provider in fact I already recommended him to 2 of my friends who already made appointments to see him." "This was my first visits to Dr. Li, the spent a lot of time going over my previous issues and was so thorough. I found a new dr. in Dr. Li and will recommend him to others." "We went over my medical history. This was our first meeting. Thank you." "I respect and trust Dr. Li and I appreciate his commitment and dedication." "Dr. Li was terrific in explaining & attention to my problems."